Casa Grande Baptist Church is an independent Baptist Church that has served the community of Casa Grande since 2005. 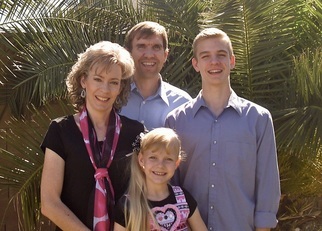 Pastor Shane Montgomery started Casa Grande Baptist after serving for many years as a missionary in New Zealand. In early 2016, Pastor Montgomery and his wife returned to New Zealand to continue serving the Lord there. Later that year, Casa Grande Baptist called Matthew Witter to be the next pastor. Pastor Witter planted and pastored San Bernardino Baptist Church in southern, CA, from 1998 - 2009. He and his wife Kim have two adult children and two children at home. In addition to duties related to being a pastor's wife, Kim has extensive experience teaching children in AWANA, Master Club, Junior Church, VBS, and Sunday School.